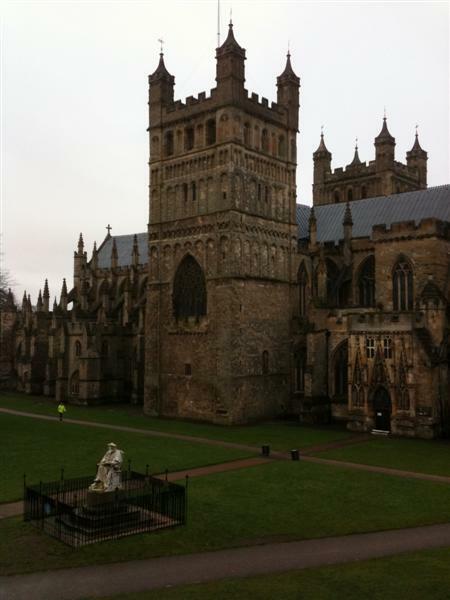 A weekend of fine dining and much walking in delightful, historic Exeter and environs. Mary had a work trip to Exeter last Friday so, as the client had paid her train fare, she suggested I might like to come down to join her and make a weekend of it - and so we did. Friday I left work early, did some work on the train, and checked in to the ABode Hotel, Exeter for a special weekend package. The deal included a free glass of decent champagne and a meal in their fine restaurant. 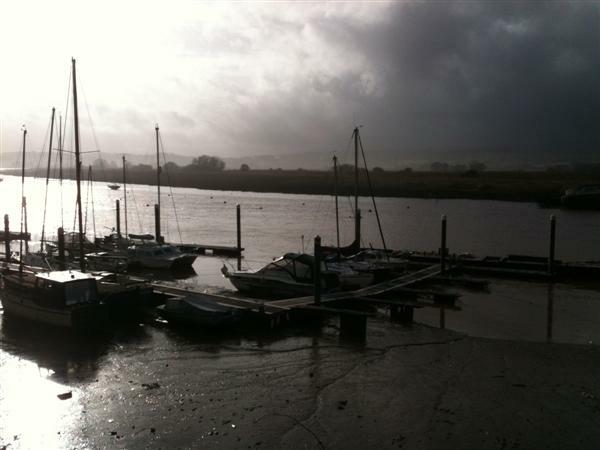 Saturday we tromped 12 miles along the Exe Estuary Trail. Devon Council are still working on what will be, I am sure, a very popular leisure resource. After the first 8 miles it was time for a pub lunch at The Puffing Billy in Exton. Good food and beer with a convivial landlord. We tried a couple of local ales: Gun Dog for me and Otter for Mary. 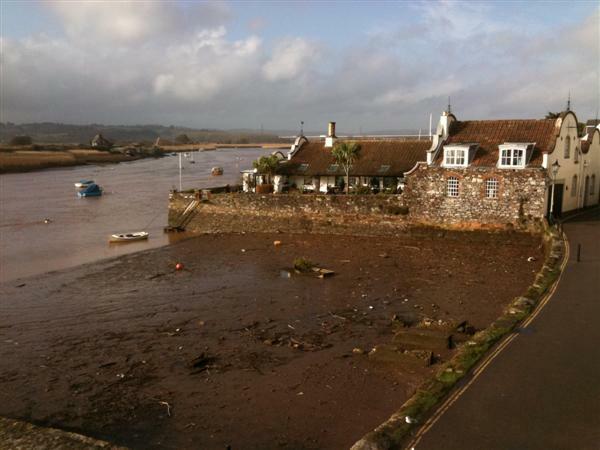 The last 4 miles took us to Exmouth and the train back to Exeter. 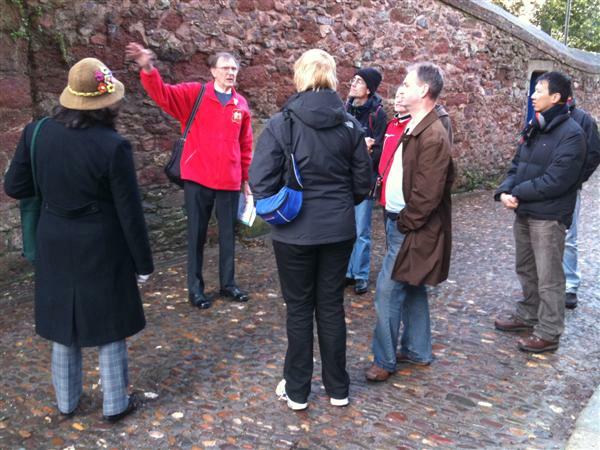 Sunday we did a guided tour of the city "Cathedral to Quay" which left us an easy walk to the Double Locks pub for lunch. Then a walk back to the hotel to pick up our luggage and spend the afternoon trundling home on the train. An very tourist friendly city with lots of history and atmosphere - recommended.